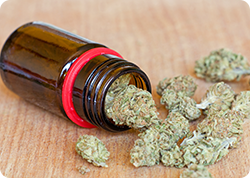 Effective November 9, 2016, certain sales of medical marijuana are exempt from sales and use tax. The State will update this guide with additional information on the excise tax and cultivation tax as it becomes available – please check back. Helping your business succeed is important to us. To help you better understand the tax obligations specific to your medical cannabis business, we have access to a guide detailing the tax issues and important information relevant to your industry. 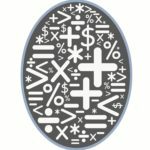 Please note: This guide is intended to provide general information regarding issues relating to the sales and use tax laws and other programs administered by BOE which may affect medical cannabis businesses. It is not intended to provide advice or guidance related to other state and local statutes and regulations relating to the cannabis industry. Additionally, for the Federal Government’s guidance regarding marijuana enforcement, refer to the U.S. Department of Justice website. Each section of this guide contains important information relevant to your business. The Getting Started section provides key resources related to registration, filing returns, account maintenance, and other information you may need. 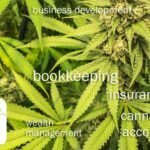 The Dispensaries section covers topics related to the general application of tax to purchases and sales by dispensaries. It also has information on exemptions that dispensaries may qualify for and the exemption certificates required. The Growers section covers topics related to the general application of tax to growers, the available exemptions and the exemption certificates required. Lastly, the Resources section provides links to useful information, including web-based seminars, publications, statutory and regulatory information, and access to assistance from our Customer Service Representatives. Please note that the general information provided is not intended to replace any law or regulation. If you have questions, please feel free to contact us by telephone or email. Our contact information and hours of operation are available in the Resources section. If you are starting a new business, or have tax-related questions, staff is available to meet with you to provide a personal consultation to help you correctly report and pay your sales and use taxes. For more information about Free Educational Consultations see Cannabis Accounting.